Las Vegas is famous as a town of second chances, a place where someone can get a fresh start. It’s almost part of the culture and a reason, I suspect, why a lot of people gravitate here. Well, that and maybe they also like to gamble. With these possible motivations, Jonathan Hamm and Issac Bennett showed up last week in Sin City. They most recently were residents of Iuka, Miss., in the state’s hard-scrabble northeastern corner not far from Elvis Presley’s birthplace in Tupelo. However, Hamm and Bennett carried some baggage. They were riding in a locally stolen car Bennett was driving when Las Vegas Metro police pulled them over late one night. Nor, as it turned out, was that the pair’s first stolen vehicle of the month. They had escaped together a week earlier from the Tishomingo County Jail in Iuka (pronounced eye-YOU-ka) and had swiped a vehicle to hot-foot it out of town. This buddy act was still on the lam. 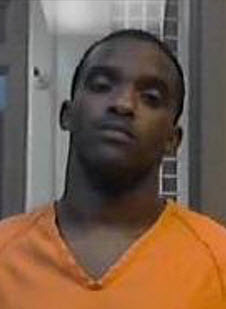 Hamm, 26, and Bennett, 23, were arrested and put in a Clark County jail pending their eventual return to Mississippi. They will face escape, vehicle theft and damage-to-public-property charges on top of whatever they were in jail for in the first place. Accordingly, I’m nominating Hamm and Bennett for my list, It Didn’t Stay Here. It’s a roster of of folks in trouble elsewhere for something that happened in Vegas. This is a twist on the famous marketing slogan of the Las Vegas Convention and Visitors Authority, “What Happens Here, Stays Here.” You can find the entire list elsewhere on this page. In this case, the Vegas happening is the continuing escape that ended here and will be prosecuted in Mississippi. It’s not clear if Bennett (whose first name is spelled variously in different official records as Issac or Isaac) as the driver will first face Nevada charges for stealing the car in which they were riding. I would like to credit the Mississippi media and especially the Northeast Mississippi Daily Journal in Tupelo for many of the facts in this post I couldn’t document in online public records. I should also note that while I am New To Las Vegas, I am not on the lam. After midnight on June 14, Hamm and Bennett forced open a jail door in Iuka to the outside, scaled a fence and scooted down railroad tracks that run past the lockup. A jail officer saw them, but they managed to steal a pickup truck a few blocks away and roar off. 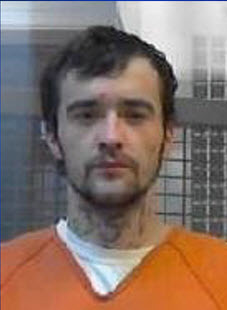 A statement issued by Tishomingo County Sheriff John Daugherty said the two inmates, who apparently had minor nonviolent criminal records, were not considered dangerous. Three days later, on June 17, the truck was found abandoned 575 miles away in Kansas City, Kan. There were no signs of Hamm and Bennett. I’m making a wild guess here–and it’s only a guess–that they grabbed another vehicle, headed west to Las Vegas, 1,350 miles away, and ditched that vehicle for more hot wheels. On the evening of June 20, Las Vegas cops stopped them in a vehicle reported stolen from the Las Vegas area. Bennett was driving. Hamm gave a false name, but the cops were able to figure things out, identify them as fugitives and book them both. Back in rural Iuka (population 2,989), it seems jail breakouts are almost a spectator activity. “Bennett and Hamm were on the run for a week, longer than the last inmate to escape from the Tishomingo County Jail,” the Northeast Mississippi Daily Journal reported in an account that read at points like a sports story. That last escape was just a month earlier. The county jail in Iuka has 75 beds. To my mind, that’s a rather high number for a county with fewer than 20,000 residents. Indeed, it works out to more than double the per-capita jail bed rate in Clark County, which has 3,400 beds behind bars for a population of 2 million. The Iuka lockup was described on the sheriff’s own website as “state of the art” when it was opened in 2012 to generate revenue by charging law enforcement agencies for housing prisoners. But the facility seems to have had a large number of design flaws from the get-go. Among them: inadequate razor wire atop fences, hiding places created by foliage and weak joints between a fiberglass building frame and steel doors. These are bad characteristics for a state-of-the-art jail. County officials now are working on fixing all this. But there is one other design issue that might not be so easily resolvable. “Being next to the railroad tracks, the ground shakes and it has vibrated things loose over the years,” Sheriff Daugherty told the Daily Journal. Hamm and Bennett were certainly gambling when they came through Las Vegas. They lost.